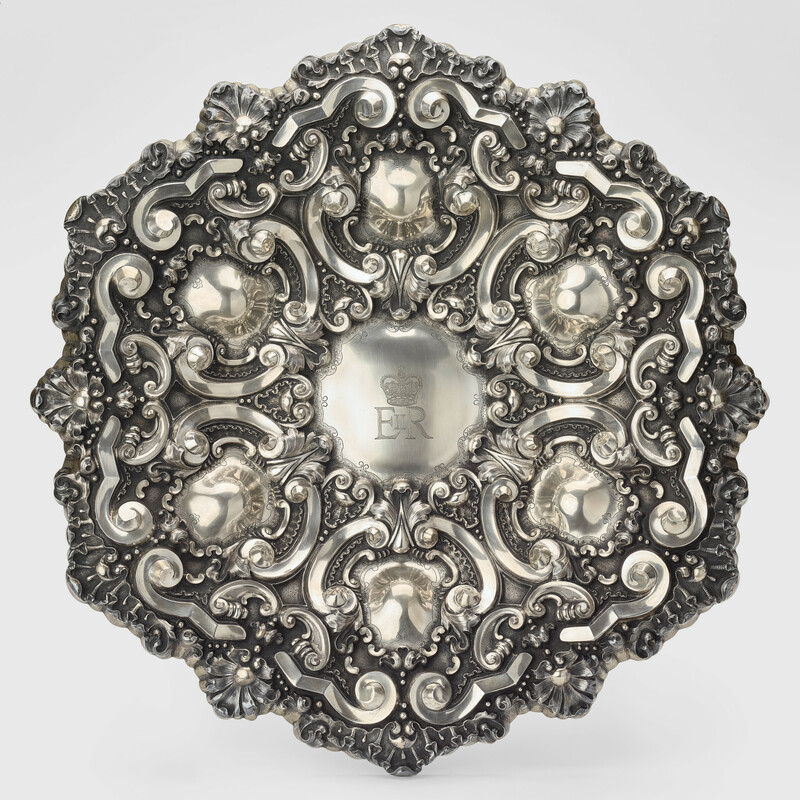 A white metal (African silver) wall plate in circular form embossed with scrolls and reserves. Circular centre reserve with EIIR monogram. Angola was historically a Portuguese colony an this charger is inspired by seventeenth-century Baroque chargers made in Portugal.